DAVID LE/Staff Photo. 2/12/15. 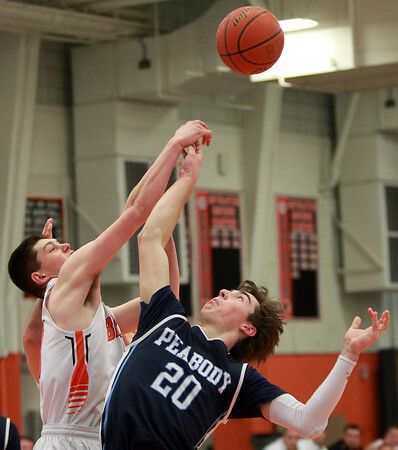 Beverly sophomore Pat Gavin, left, comes up with a last minute block of Peabody senior Mike Raymond (20) as he drove to the hoop to help secure a Panthers win over the Tanners on Thursday evening.